with 41 additions and 12 deletions. Why has this been removed? File-level DocBlocks are still needed for files that contain a class. Oh, I thought that as it was defined lower down above the class that it wasn't needed at the top. I'll add this back in. File-level DocBlocks, and class-level DocBlocks serve two different purposes (contexts). * The core Dark Mode class. 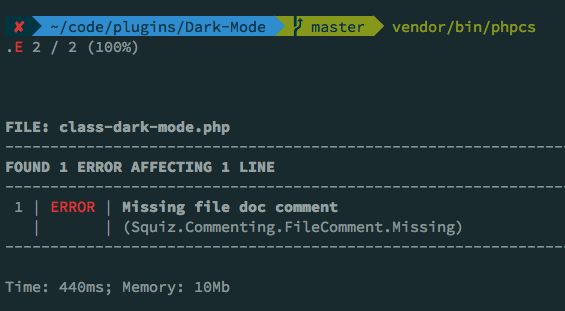 * Dark Mode main plugin file.